nature hunt | bahá'í children's class ideas! 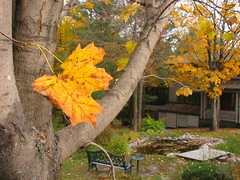 An outdoor “nature hunt”, similar to a scavenger hunt. Children will be given a list of things that can be found in nature; as a group, they will be asked to find as many as they can. Some of these they will have to find and bring back; some of them they may simply observe and document, for example, by photographing them or noting on a piece of paper where they were found. Teachers should emphasize the importance of having a “light footprint”, that is, not disturbing nature more than is necessary to complete their goals. It should be made clear to the children that not everything they are told to find should be “scavenged”, where “scavenging” implies “searching for and collecting“. They should be told that, in the interest of preserving nature and respecting God’s Creation, they are not to collect or disturb living things, such as plants, insects, birds or other animals, or their habitat. Of course, the children should not be asked to collect anything that is part of someone’s property, for example, rocks from someone’s driveway or garden, etc. The children should complete the nature hurt as a group, with each child focusing on finding certain items. Children may also be paired together in sub-teams, with each team given a portion of the list. The idea is to encourage the children to learn how to take collective action to reach a goal, rather than making it a competitive exercise. Working on one list as a group also helps to reduce the potential impact on nature from many children competing for the same items (e.g. only one pine cone for the whole group needs to be collected, rather than one per child). The list of items for the nature hunt will include items to collect (scavenge) and items that should be found and observed, but left undisturbed. To help the children understand the difference, you may wish to divide your list into a “collect” section and an “observe” section. Download a sample list of nature hunt items.